A claim for wrongful death may be brought when a willful or negligent act of another person causes the death of another. Wrongful death cases differ from their personal injury counterparts in that they are not brought on behalf of the victim but instead on behalf of the close family. Wrongful death claims can be challenging to prove, and if you believe you have a case, it is very important that you hire a skilled and experienced California wrongful death attorney. Wrongful death cases take a number of different forms, such as medical malpractice and toxic exposure. The defendant is the entity or individual responsible for the death. Keep in mind that the act may be intentional or unintentional. For instance, a car manufacturer may know that the braking system in a model of car is defective, yet knowingly and willfully fail to make the necessary modifications to make it safe. Obviously, the victim is not alive to file a claim for damages. As your California wrongful death attorney will tell you, the claim can only be brought by the executor of the victim’s estate and on behalf of those who are directly affected by the death. Usually, then, a case is brought on behalf of the spouse and/or children of the decedent. When you meet with your California wrongful death attorney for the first time, he will ask you to provide the details of your case. 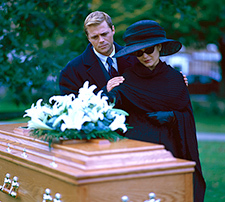 Wrongful death, like its counterpart personal injury, actually covers a range of case types. Accidents caused by the negligence of others are among the most common types of wrongful death claims. Thousands of people lose their lives yearly in truck, car, pedestrian, bicycle, swimming and other types of accidents. Given that the plaintiffs in a wrongful death claim are the immediate survivors of the decedent, it stands to reason that damages would be awarded to reduce the burden placed on them. Your California wrongful death attorney can help you collect costs related to medical treatment, hospitalization, future lost earnings and funeral expenses. You may also be awarded certain non-compensatory damages, such as loss of consortium, mental distress and emotional pain. It is very important that your claim is filed promptly as California law imposes strict statutes of limitations on wrongful death claims. The length of time you have depends upon the nature of the claim, but can range from 6 months to 2 years. If your loved one died as the result of another’s negligence, you may have grounds for a wrongful death claim, and might be able to receive compensation. Because medical malpractice laws are complex, it is very important that you work with an experienced California wrongful death attorney who has the breadth of knowledge to provide effective representation. Call Russell & Lazarus, APC to arrange a consultation at 949-851-0222.